1. These adorable, comfy shorts. 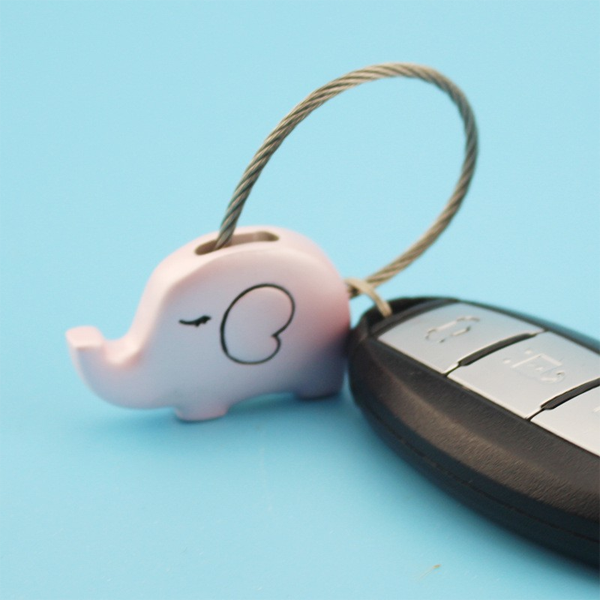 A portion from every sale goes towards International Elephant Foundation. 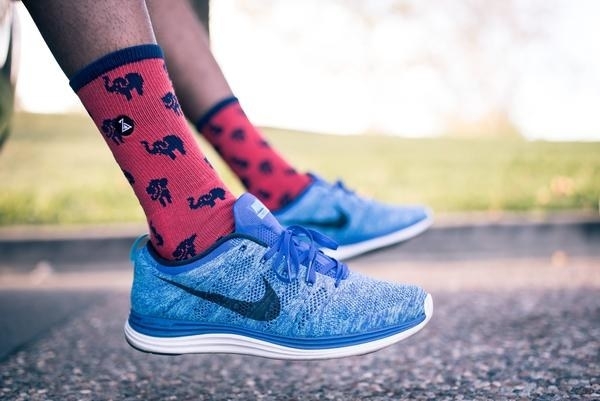 Get them (and plenty of other super-comfy elephant garments!) from The Elephant Pants for $22. 2. These incredibly cute lil' keychains. 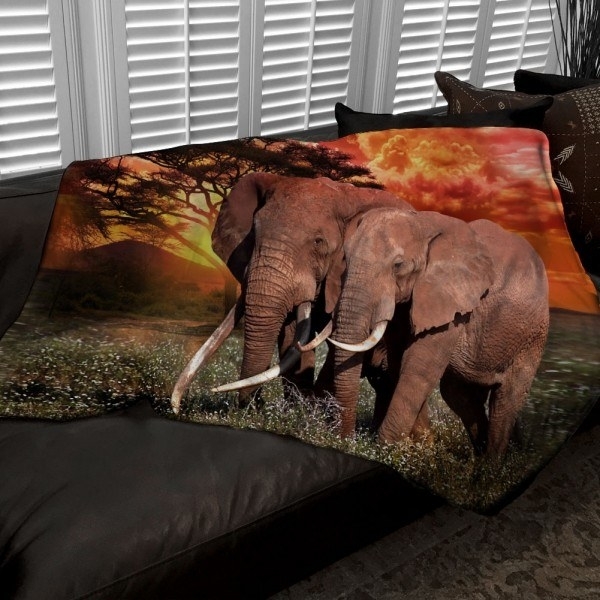 From Florence Scovel, 10% of the proceeds from these sales will go towards Save the Elephants. Get a set now for $10. 3. This green-and-white large beach tote. Founded to provide elephant lovers with great gear while simultaneously saving the elephants, Ivory Ella has donated over $800K to Save the Elephants. Get this cute tote for $39. 4. And these super summery tank tops. 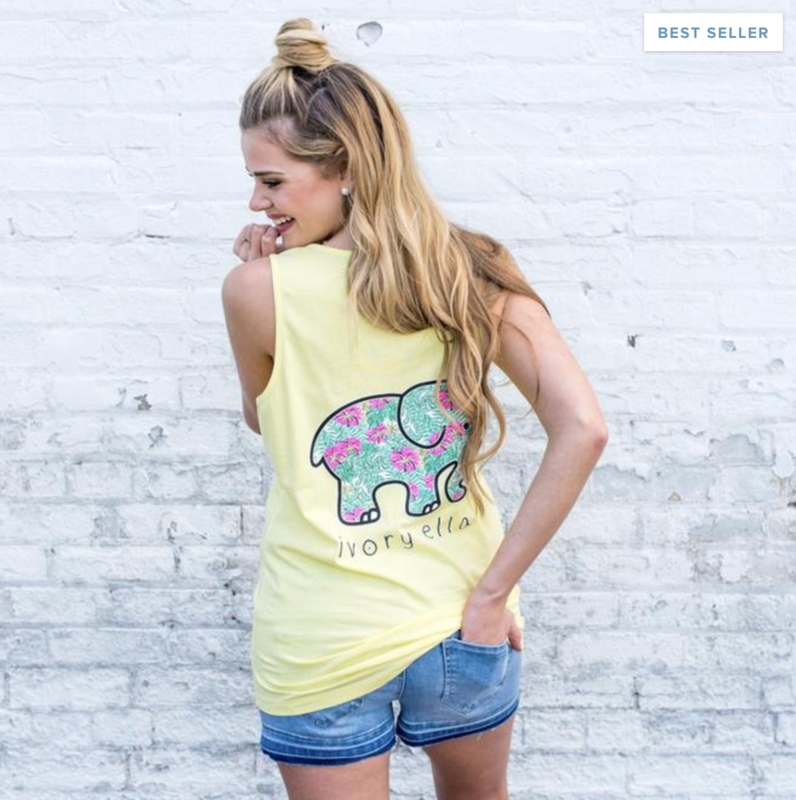 Ivory Ella also has a great new tank top collection. Find them here for $29. 5. 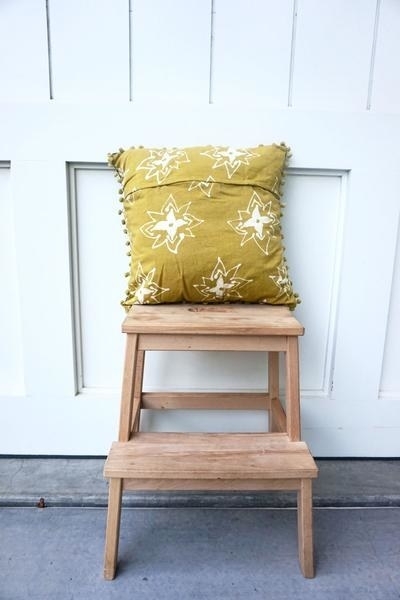 This stylish, eco-friendly throw pillow. 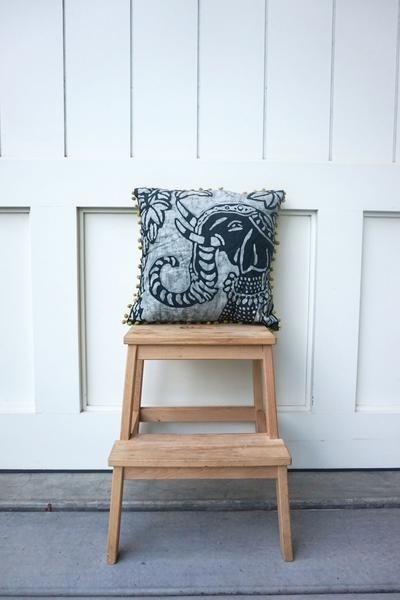 From Awakened Apparel, where 10% of the proceeds from this pillow support the International Elephant Foundation. Get it for $20. 6. 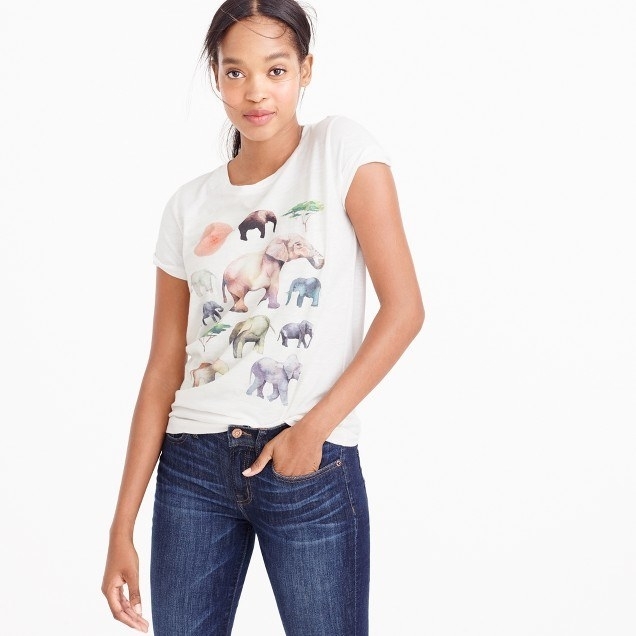 This wondrous and colorful elephant tee. 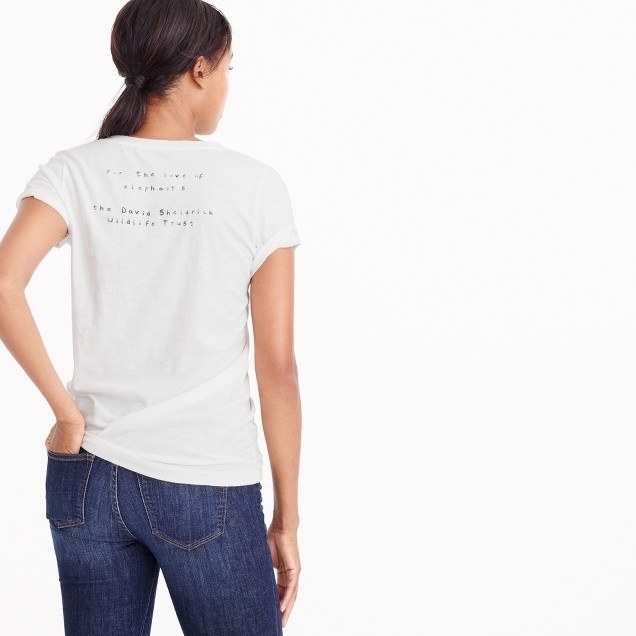 This glorious t-shirt from J.Crew benefits the David Sheldrick Wildlife Trust, which rescues and protects orphaned elephants and rhinos in East Africa from ivory poaching and extinction. Fifty percent of the retail price goes towards the trust; get it here for $30. 7. These particularly trunky swim trunks. Love Brand & Co. is committed to elephant conservation, and 5% of their profits go to Elephant Family, The David Sheldrick Wildlife Trust and Tusk Trust. Get these swim trunks for £130. 8. This lucky charm necklace. 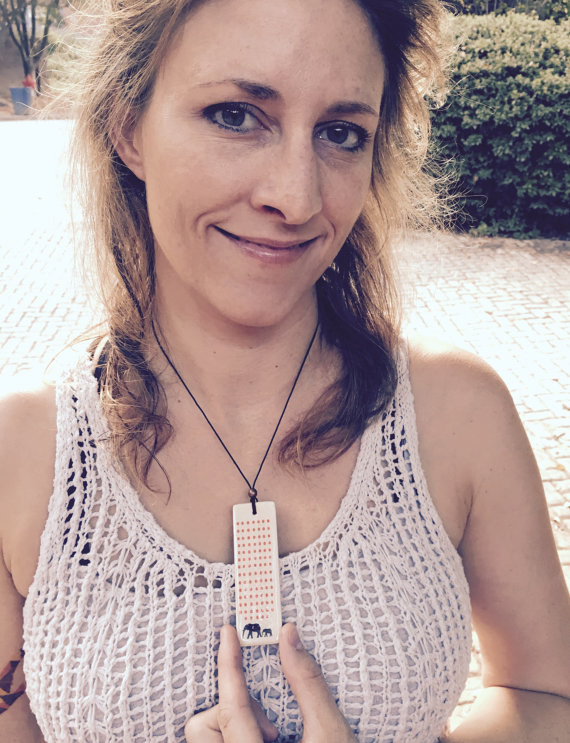 If you use Amazon Smile you can purchase this necklace (or anything else on Amazon!) 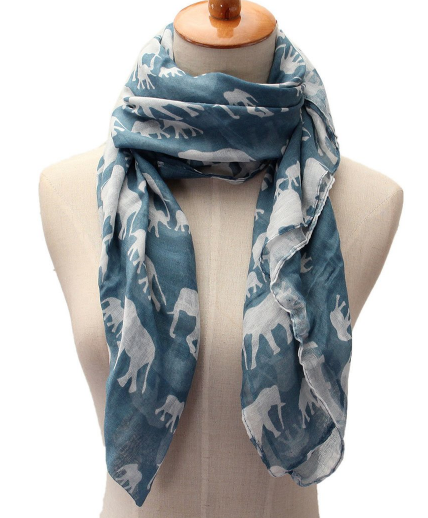 and also support African Wildlife Foundation. Get it here for $10. 9. 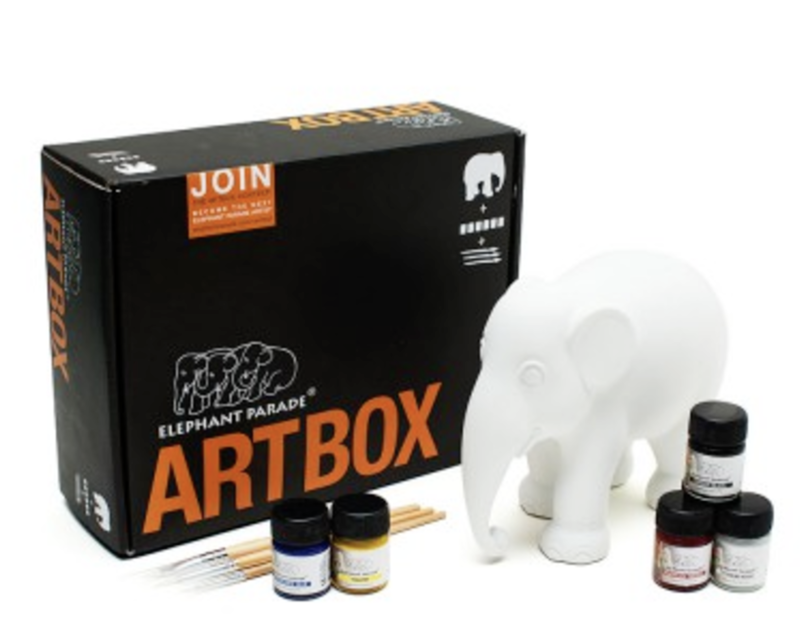 This fun paint-your-own-elephant kit. 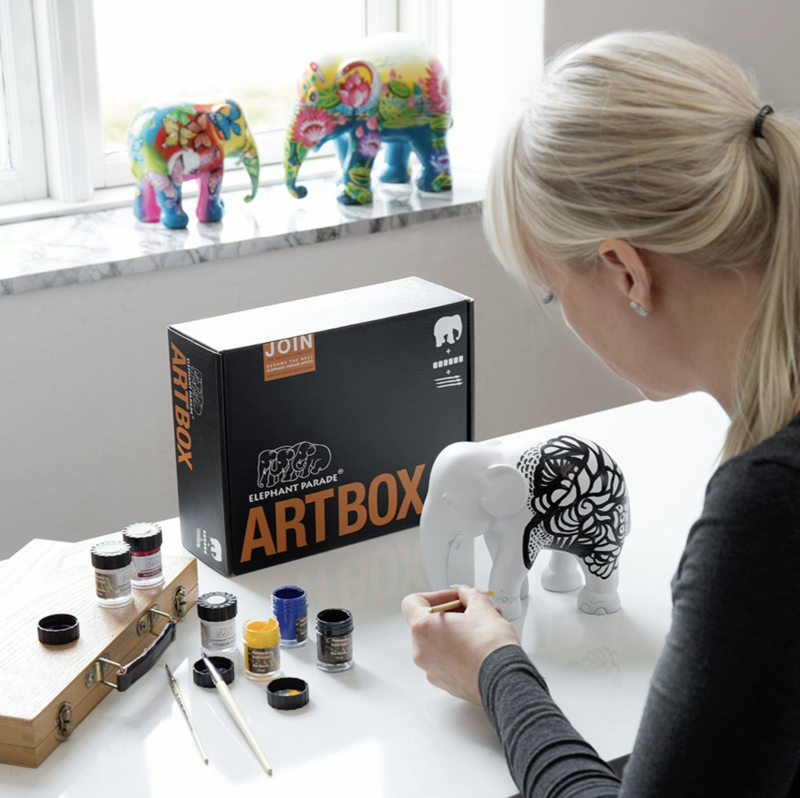 20% of profits from Elephant Parade products go towards elephant welfare and conservation projects. Get it here for $45. 10. This stunning and cozy throw blanket. 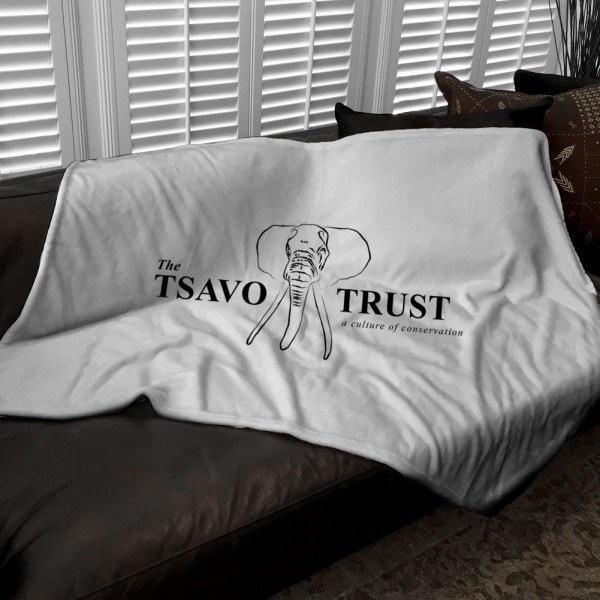 Get it from People's Choice apparel, who has teamed up in support of The Tsavo Trust for $49. 11. This beautiful beaded bracelet. From Divinity LA, where $1 from every bracelet sold goes to International Elephant Foundation. Get it for $16. 12. And this simply adorable bracelet. 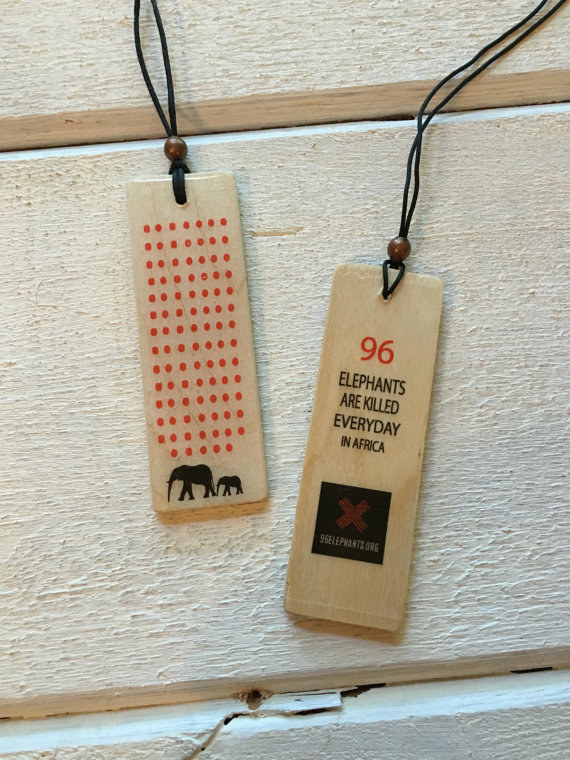 100% of the profits from Elephant Highway go towards organizations that actively protect elephants from poachers. Get the bracelet here for $5. 13. 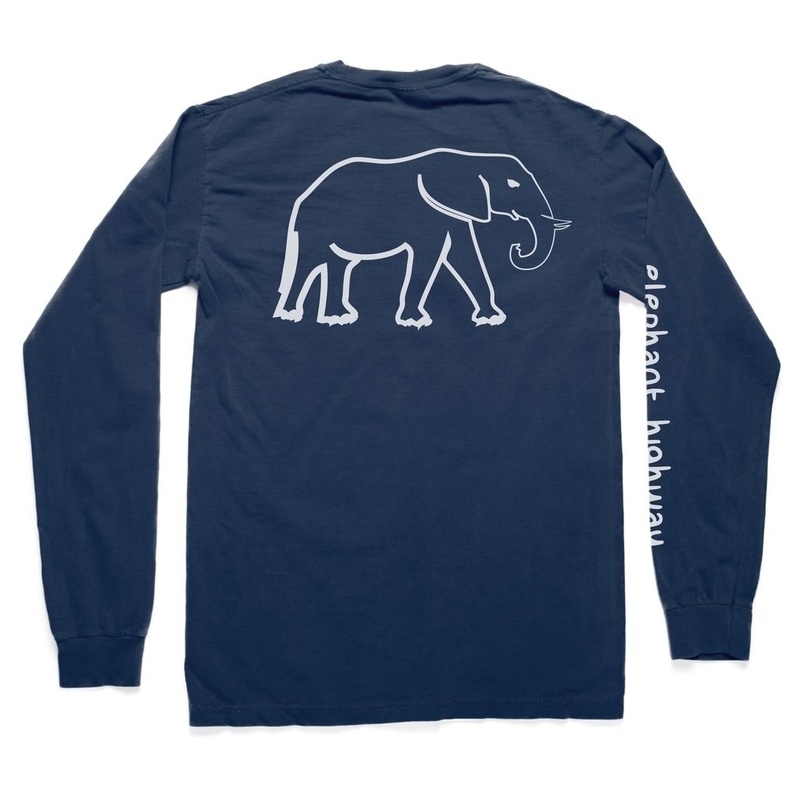 This long-sleeved tee with a tiny elephant pocket detail. Another one from Elephant Highway, for $35. 14. These truly remarkable socks. 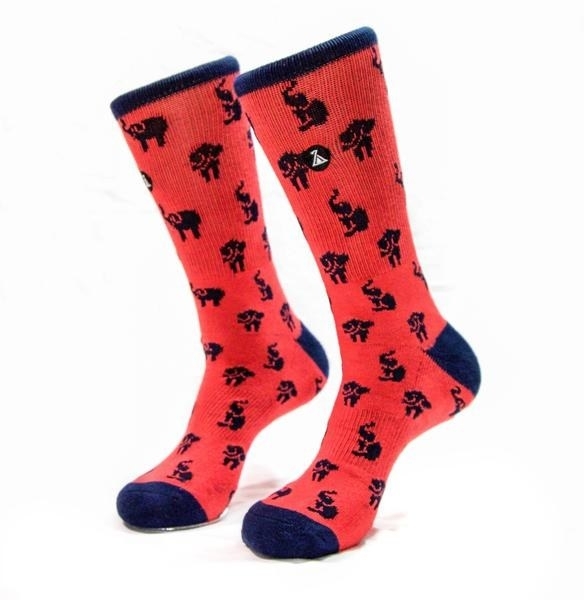 At Mozéu, a portion from every pair of these elephant socks sold goes to the International Elephant Fund. Get them here for $11. 15. This "96 Elephants" statement necklace. Etsy shop Colors 4 Conservation donates proceeds to Creature Conserve. Get the necklace for $15. 16. And this statement tote bag. 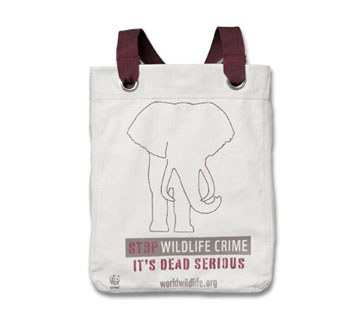 This tote also supports the efforts of the World Wildlife Fund and their fight against wildlife crime. Get it here for $55. 17. This fabulous earring set. 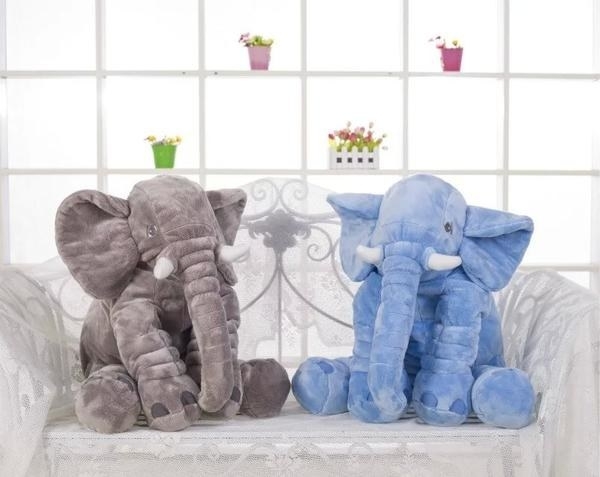 Etsy shop The Elephantique donates 20% of all profits to The Elephant Crisis Fund. Get this earring set for $18 or check out other jewelry in the shop here. 18. These dazzlingly gorgeous mugs. Etsy store Selket's Shop donates 20% of the proceeds from these mugs to Save the Elephants of Africa. Get one now for $15. 19. This lovely rhinestone strap watch. 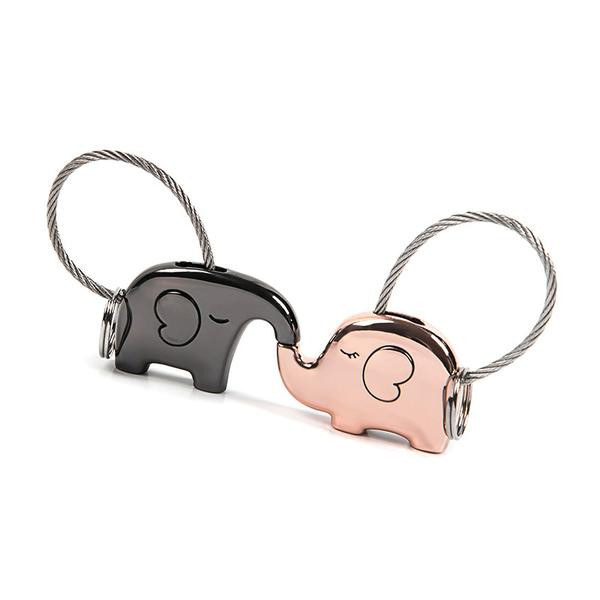 Get it from Ashley Jewels, and support Save the Elephants, for $30. 20. 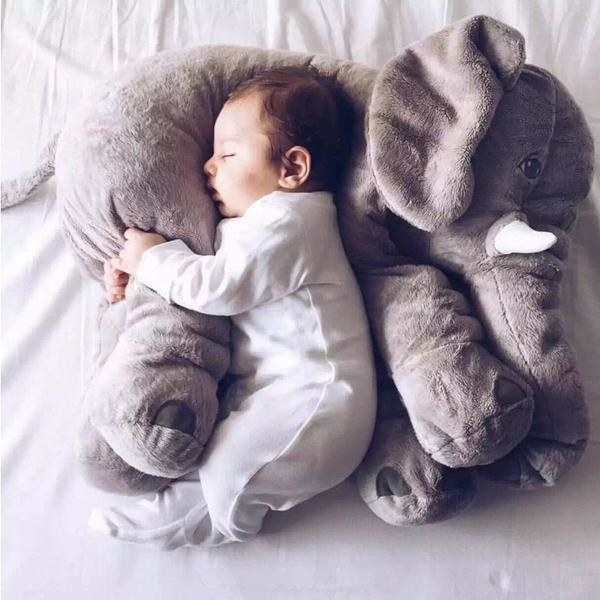 This insanely precious plush baby pillow. 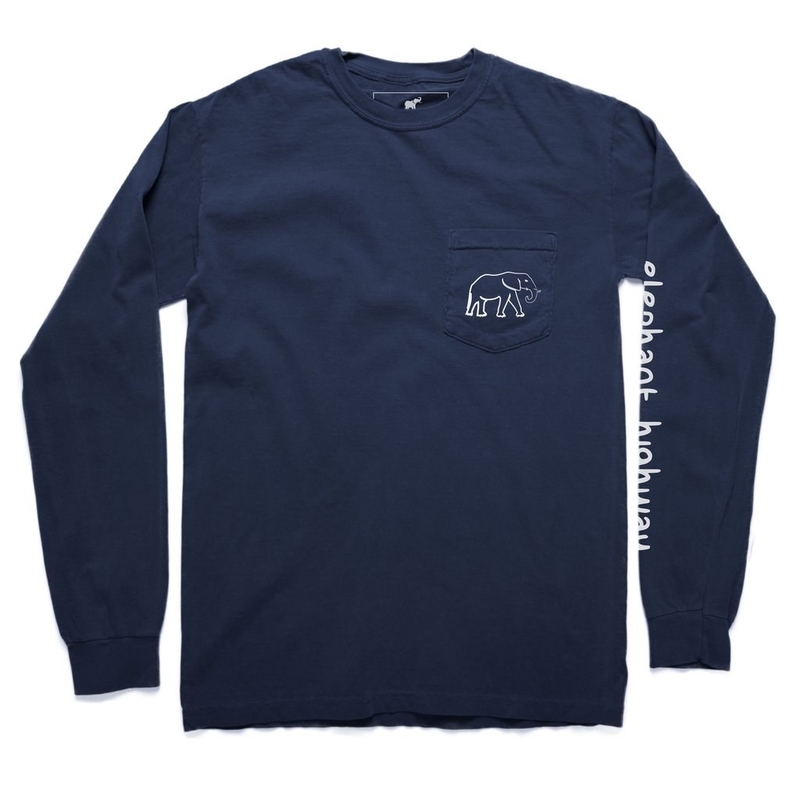 Get it from Dreaming Elephants, who also support the International Elephant Foundation, for $30. 21. 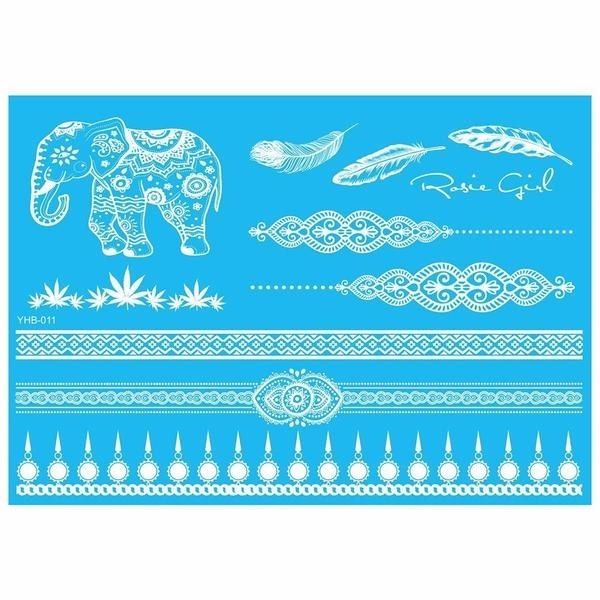 This stunning temporary tattoo set. Also from Dreaming Elephants, you can get it for $8. 22. 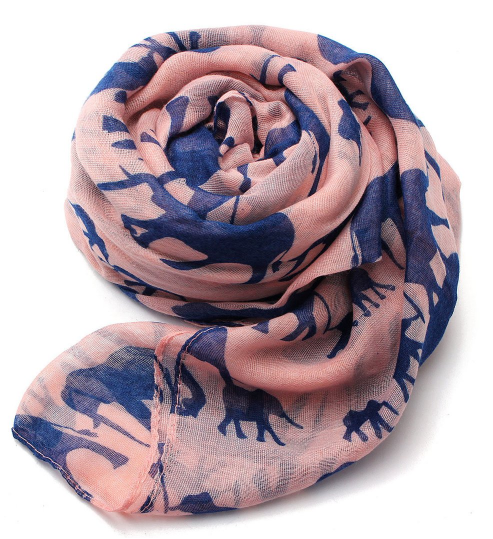 This soft and chic elephant scarf. 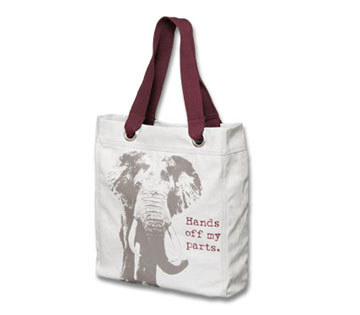 Elephant & co. is another great supporter of the International Elephant Foundation. Get a scarf here for $15. 23. And last but not least, this tiny friend to snuggle right on your finger. 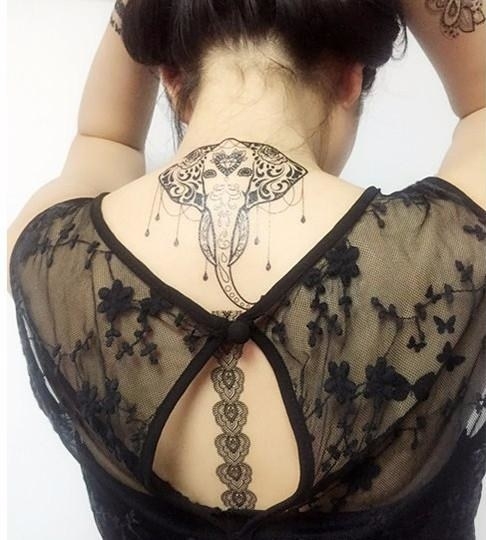 From Happy Trunk Apparel, where a portion of proceeds help fund Elephant Nature Park in Chiang Mai, Thailand. Get it for $11.